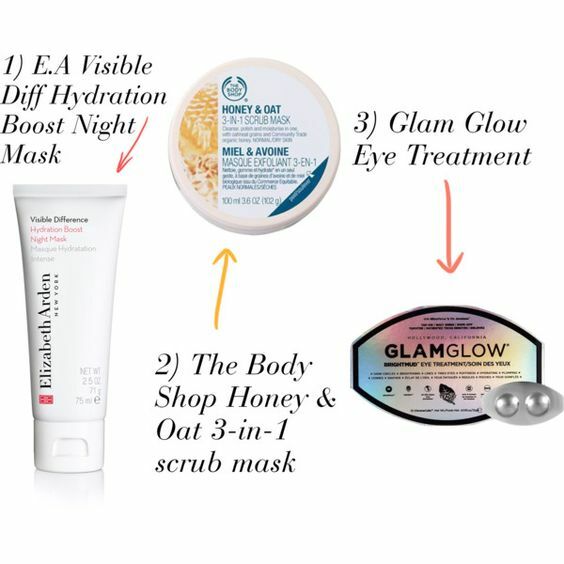 Unfortunately the Elizabeth Arden night mask is going to be discontinued, so if you have a chance, stock up! It’s a great mask to put on before going to bed and wash it off the next morning. The Honey & Oat mask is a good budget option to use twice a week, it works as a light scrub and hydrates well at the same time. GlamGlow has a great mask, the blue one, for dry skin, but I chose the eye mask right now because during winter I tend to get tired looking eyes, and this mask is a real hydra boost!